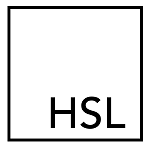 Normally in this space, I write about local restaurants. 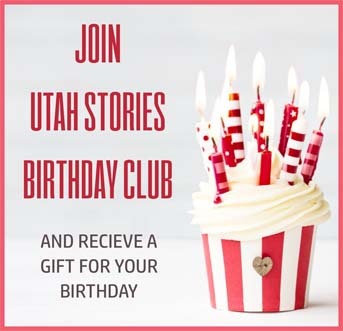 It is, after all, called Utah Bites. However, this week I’m going to deviate from the norm and bring you some tasty snapshots of New York City, where I spent last week. I think it’s informative to look beyond our culinary borders from time to time and see what’s happening elsewhere, foodwise. 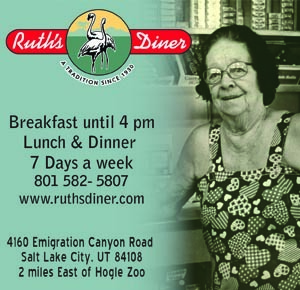 And, I’ll see if I can point Utah Bites readers towards local restaurants that might compare to the ones I visited in NYC. On our first night in Manhattan – a frigid one with high winds and single digit temps – my wife and I were in comfort food mode. 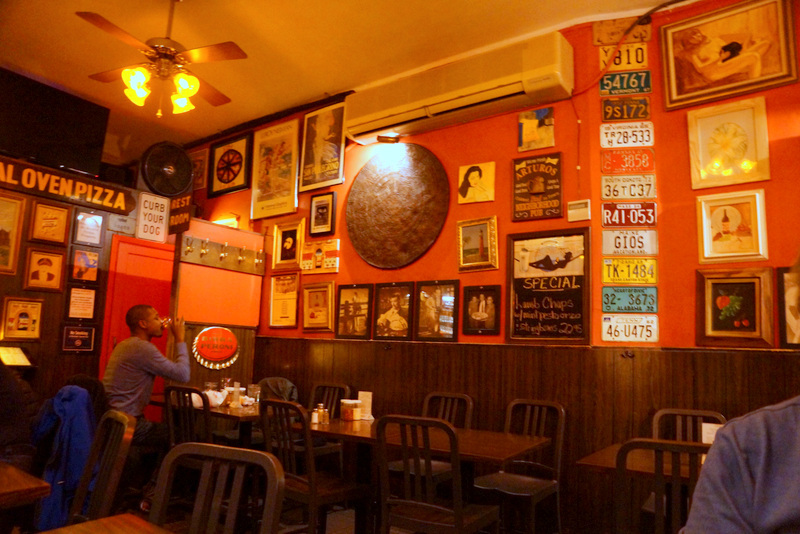 So I chose a restaurant that was one of my regular haunts during the 13 years that I lived in The Big Apple: Arturo’s Coal Oven Pizza. The eatery, which borders Greenwich Village and SoHo, was named for its founder Arturo Giunta, who passed away in 2006. 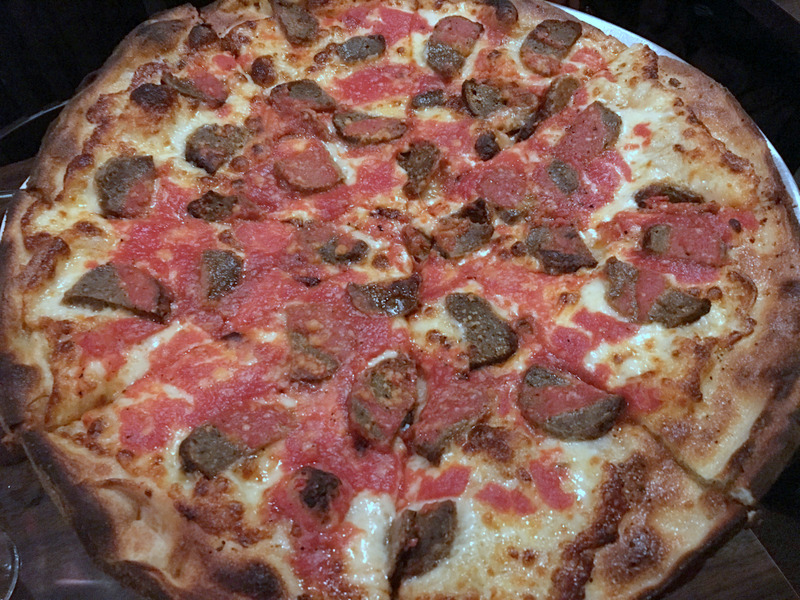 Since way back when it opened in 1957, Arturo’s has been known for its outstanding pizza. Of course, there are lots of great pizza joints in NYC. 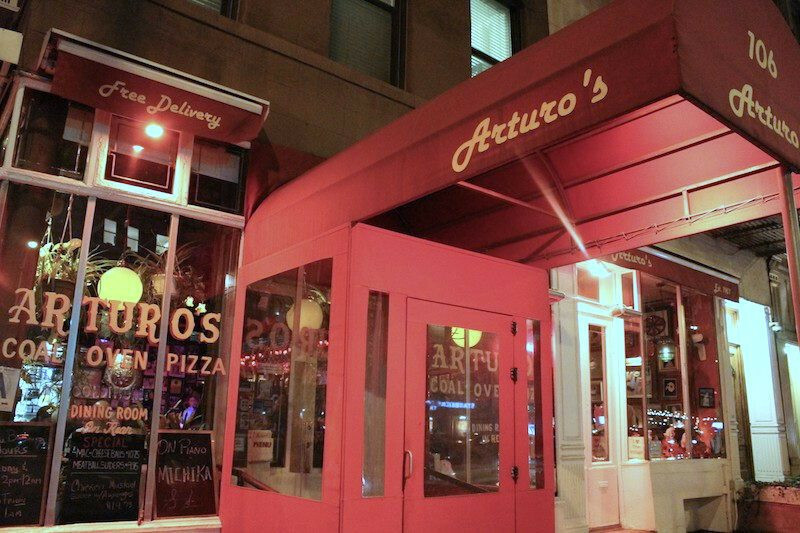 What sets Arturo’s aside is that it’s one of the very few, along with John’s Pizzeria on Bleeker, that features a coal-fired pizza oven. The high temperatures of the coal oven produces a pizza with a crisp, slightly charred crust that is irresistible. And an added highlight at Arturo’s is that there is free live jazz every evening. Sadly, there are to my knowledge no coal oven pizzerias in Utah, but digging into a great pizza at Nuch’s, which is brick oven-baked, will get you pretty damned close. Damn it’s cold! That was the verdict as we stepped out of the Hotel Giraffe – a terrific Manhattan boutique hotel – in the 1 degree F. weather, heading for a much-anticipated lunch at Le Bernardin. 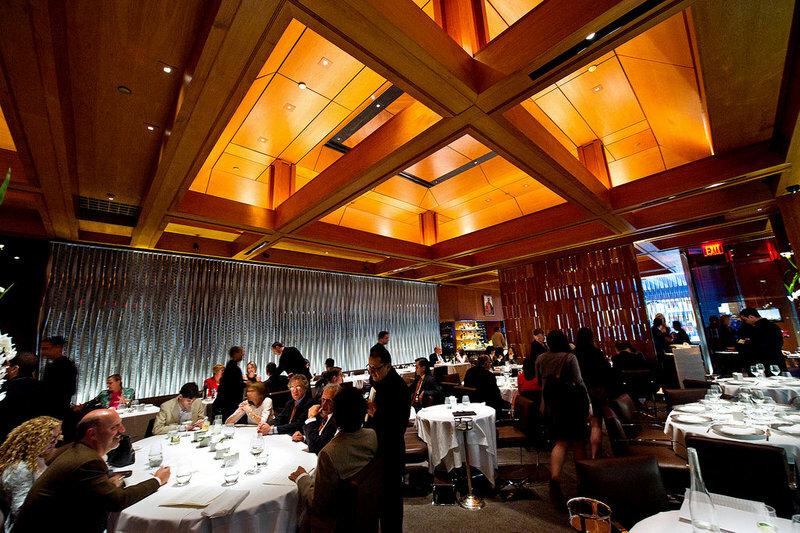 Le Bernardin is a 3-Star Michelin restaurant considered by many, including me, to be America’s best restaurant. I’ll go as far as to say that it’s one of the best restaurants in the world. It ain’t cheap, but the $90 per person lunch seemed like a steal by the time we’d finished a leisurely, perfect midday meal at Chef/Owner Eric Ripert’s superb eatery. 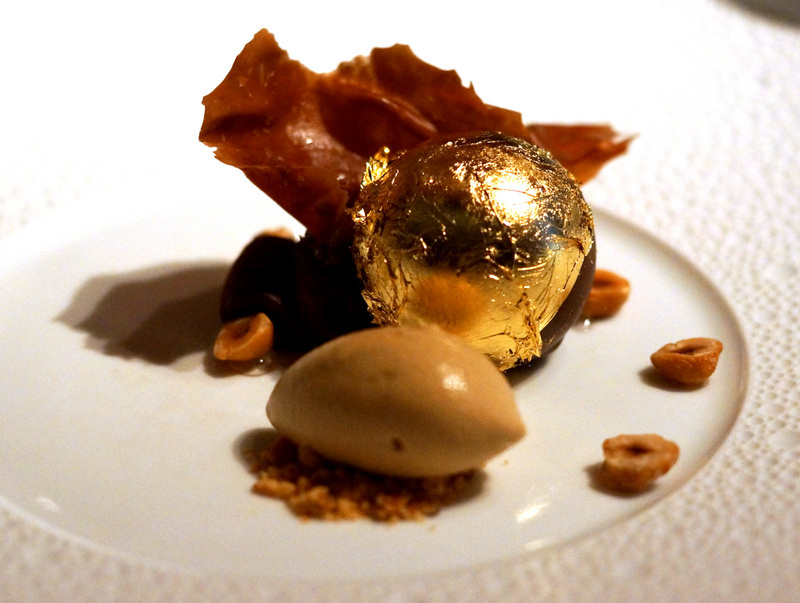 I’ve been a Ripert fan for a long time, but not only for his creativity and cooking. I also admire his spiritual core and the endless charitable work he and his staff do. 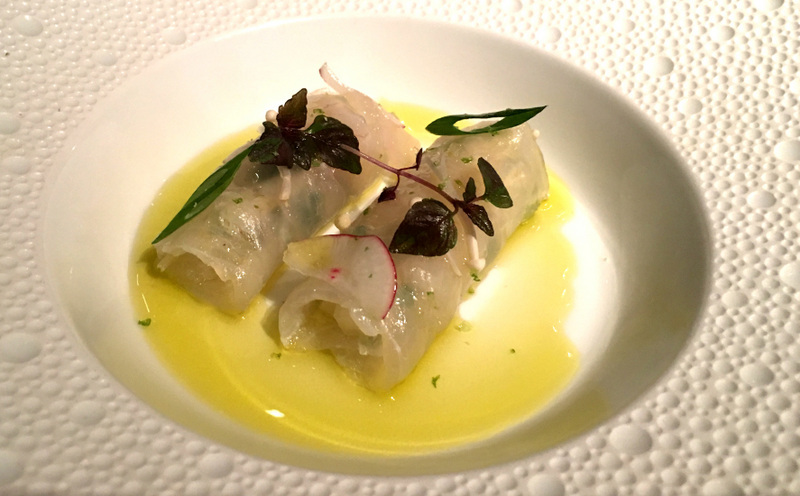 From the Almost Raw category, my wife selected an equally mind-blowing dish featuring fluke: Fluke-Enoki Mushroom “Spring Roll” with Junmai-Shiso Infused Tomato Water. 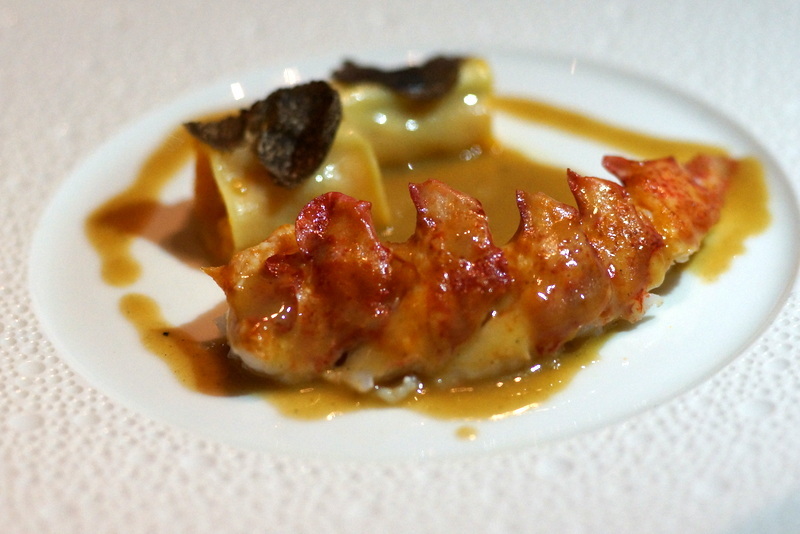 Throughout lunch service at Le Bernardin was second to none, as you’d expect of a Michelin 3-Star dining experience. 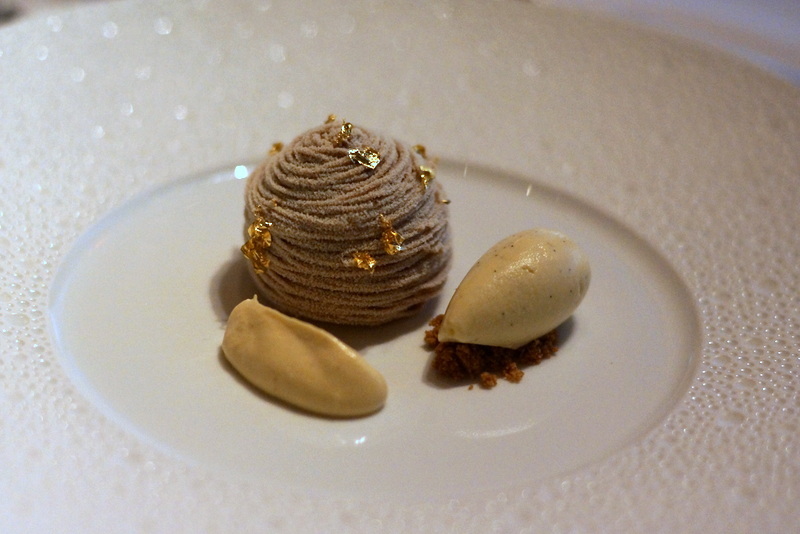 We capped off our wonderful lunch with a trio of desserts, including my favorite, called Mont Blanc: Chestnut Crémeaux, Rum-Candied Chestnut, Vanilla Ice Cream. Since the closing of Forage a few years ago, there hasn’t been a Utah restaurant that features the sort of refined cuisine that is quite comparable to Le Bernardin. However, for a top-notch fine dining experience and creative cuisine, I’d recommend Log Haven in Millcreek Canyon or Chef Logen Crew’s new restaurant, SLC Eatery. Following such an enjoyable and lengthy lunch, we were looking to eat something light for dinner that night – sushi and sashimi, perhaps. 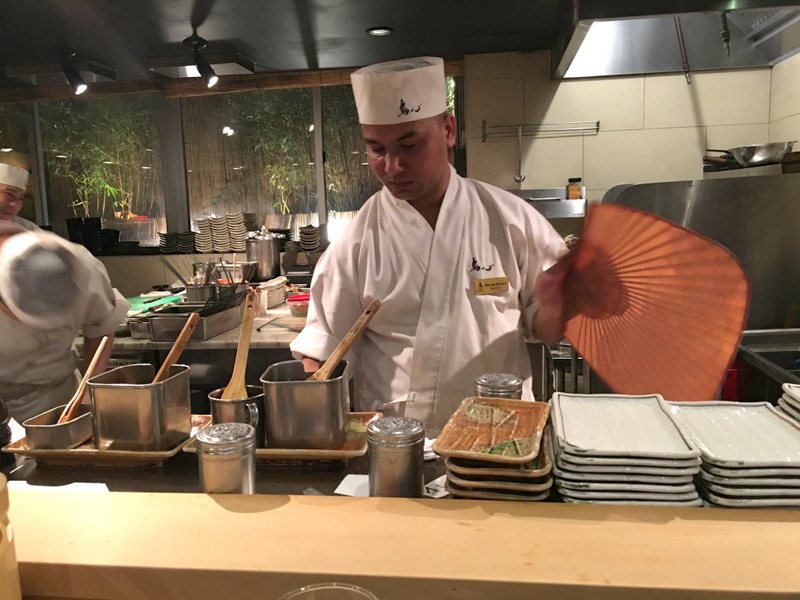 So we chose to dine at Morimoto, the eponymous eatery of renown sushi chef Masaharu Morimoto, whose namesake Philadelphia restaurant has often been named the best sushi restaurant in the U.S.A. 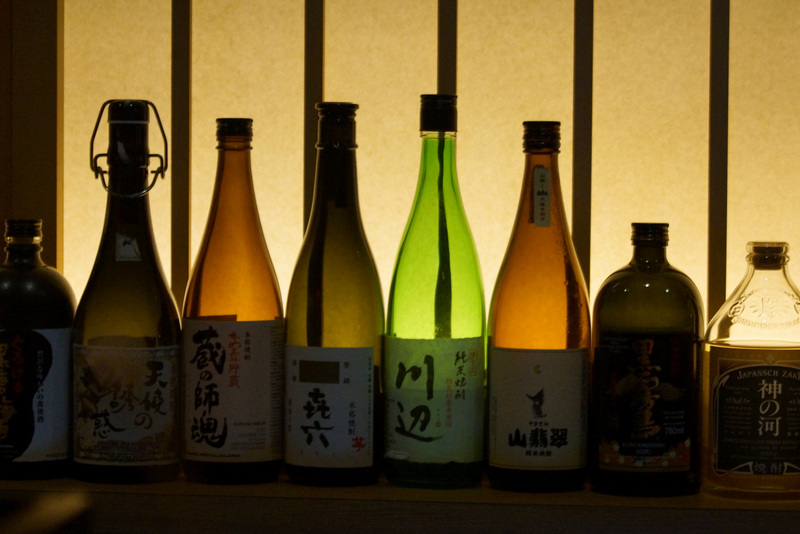 Being a high-end Japanese restaurant, I’d expected Morimoto to be a serene, Zen-like dining affair. Nope. At least, not during New York Restaurant Week, when places like Morimoto feature bargain meal deals. 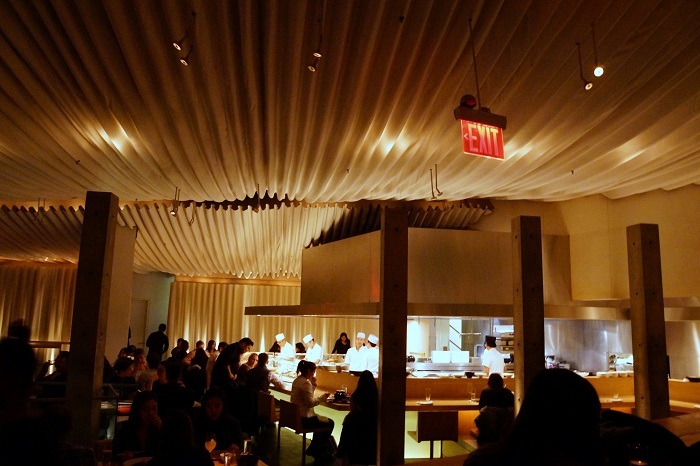 When we walked into Morimoto, which is located at NYC’s Chelsea Market, I thought I’d stumbled into a nightclub. The place was as noisy and crowded as a Saturday night rave. Thankfully, we were ushered to a corner table where I could actually hear my wife speaking. 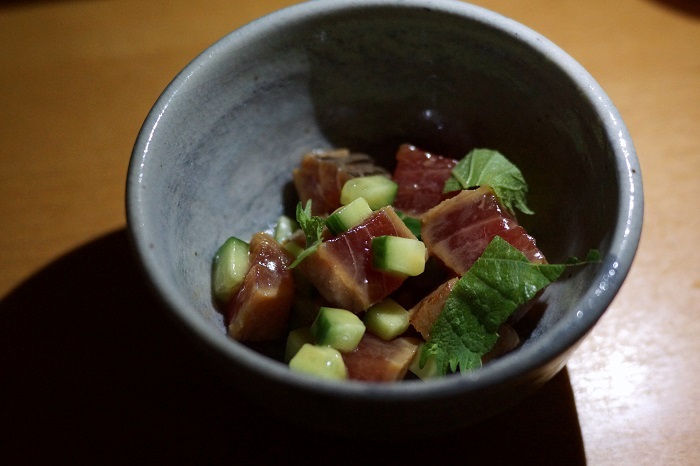 The $42 per person Restaurant Week menu featured a choice of appetizer, entree and dessert, and I began with Maguro Zuke: marinated tuna with cucumber and kalamansi, a lime-like citrus fruit from the Philippines. My wife, Faith, opted for a gluten-free appetizer of tofu soup with dashi and silken tofu. She also chose the Chef’s Selection Sushi Combo with five pieces of nigiri and a maki roll. We were surprised and a bit disappointed that the Chef’s Choice maki roll was something as routine as a tuna roll. Granted, it was a really good tuna roll, but … really? My Chef’s Selection Sashimi Combo (raw fish without rice) was a bit more interesting – a very high-quality selection of salmon, maguro tuna, octopus, kanpachi (amber jack) and fluke (hirame). 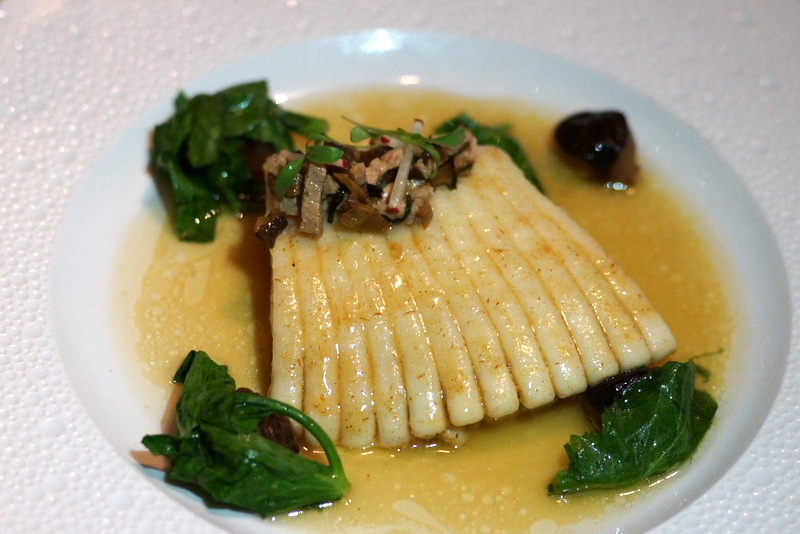 Bottom line: Morimoto is neither serene nor Zen-like, especially during Restaurant Week. 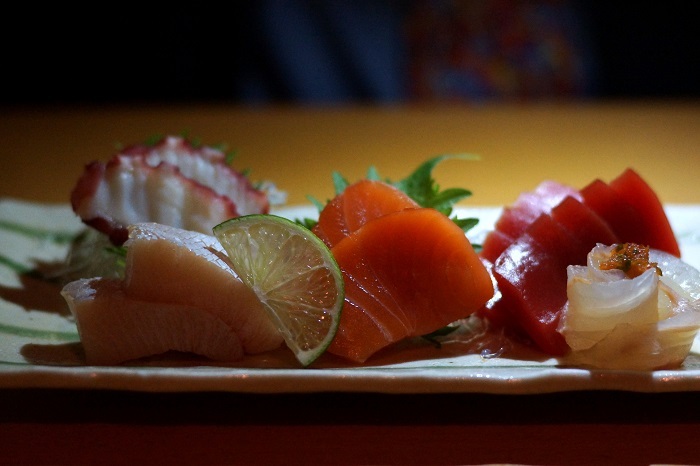 If you’re looking for a sushi experience that would put Morimoto to shame, give Takashi on Market Street in SLC a try. By Friday it had warmed up in NYC to a whopping 14 degrees F. – a heat wave! So we walked around Greenwich Village for a while before popping into one of my favorite Village eateries: La Ripaille. Restaurants like La Ripaille are becoming more and more rare in New York City, thanks to rising real estate prices, high rents, gentrification and the mallification taking place there. 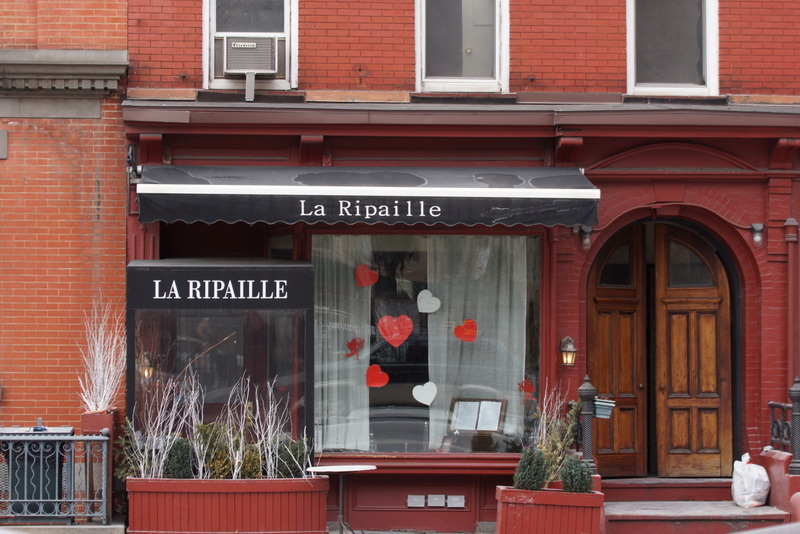 Thankfully Chef/Owner Alain Laurent, who opened La Ripaille in 1980, has withstood all the obstacles and challenges of running a small, independent, intimate eatery in NYC. 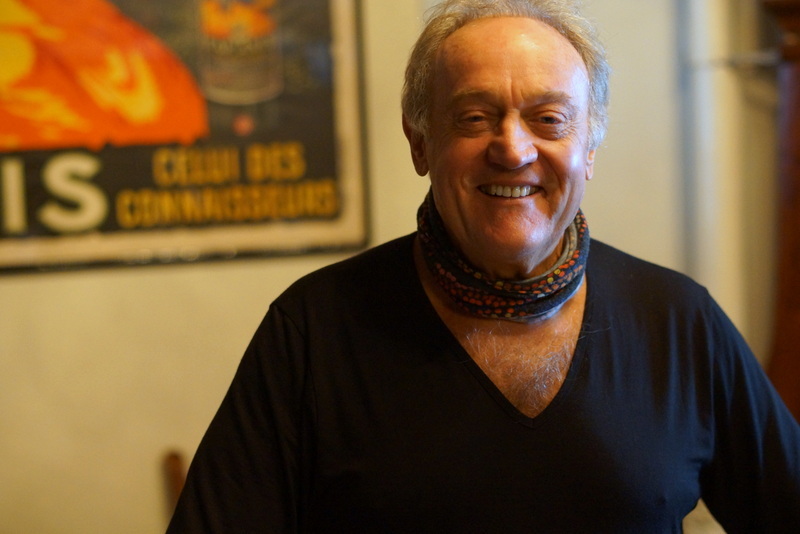 If you ever dine at La Ripaille, you will meet Alain. He says he works “sevens days a week, sixteen hours per day, all year ‘round.” He serves both as chef at his small restaurant and as host, continually bouncing to and from the tiny kitchen to check on his customers, most of whom he knows by name. He is nothing if not a “hands-on” restaurant owner and chef. And, Alain is very familiar with Utah. When his daughters were young, he and his family used to visit frequently to ski at Snowbird and Alta. 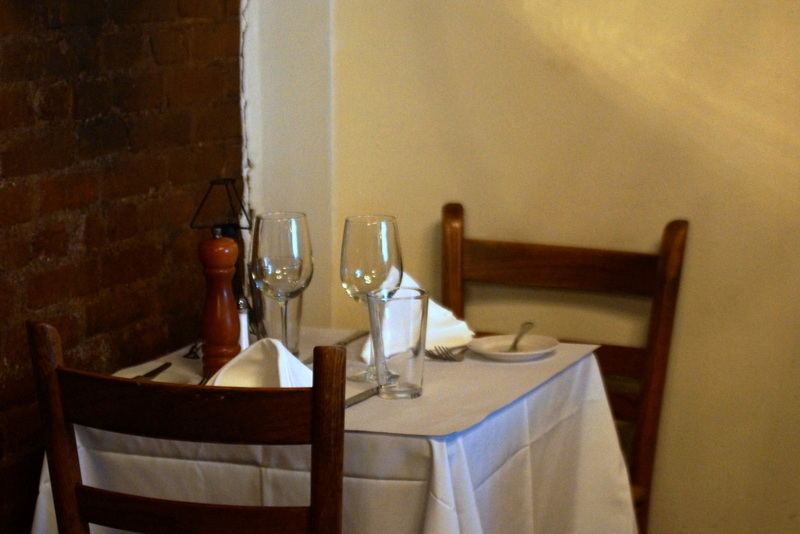 La Ripaille is the type of place to go for a quiet, romantic meal or just for a casual one with friends. 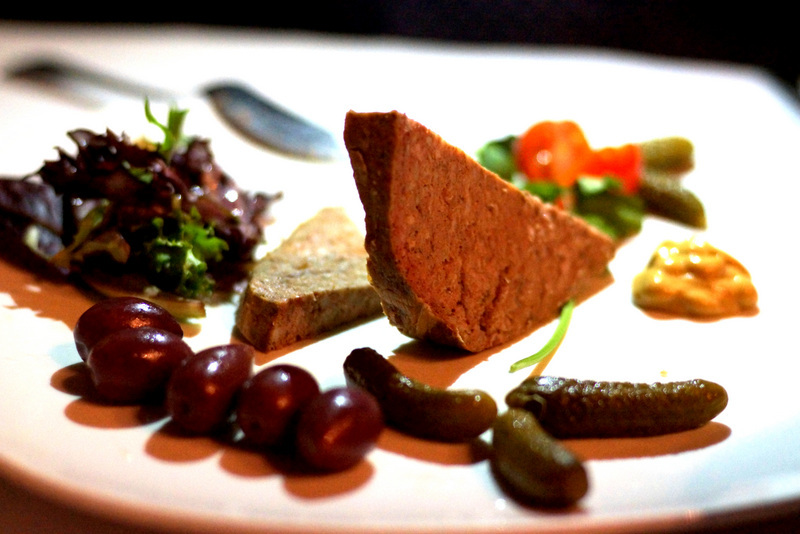 The French bistro-style menu features classics like Escargots, Tartare de Saumon, warm Brie Fermier with Poire Pochee Parfume, and a remarkably delicious French country-style pate: Pate de Campagne. Most of the appetizers on the lunch menu run a very modest $8 to $12. 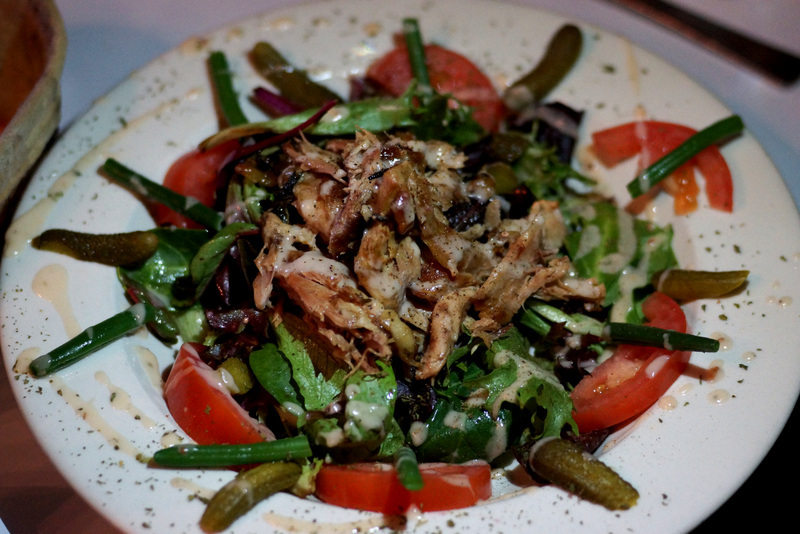 Working on a good bottle of Sancerre, I remembered that the duck confit at La Ripaille is much-lauded, so I ordered the Salade de Confit de Canard, Sur Epinard: baby leaf and spinach salad with duck confit and French pickles. As it turned out, the excellent salad (and a very generous one) also featured ripe tomato slices and haricot verts, as well as spinach, duck and cornichons. But Faith won the day by ordering the Moules (mussels). 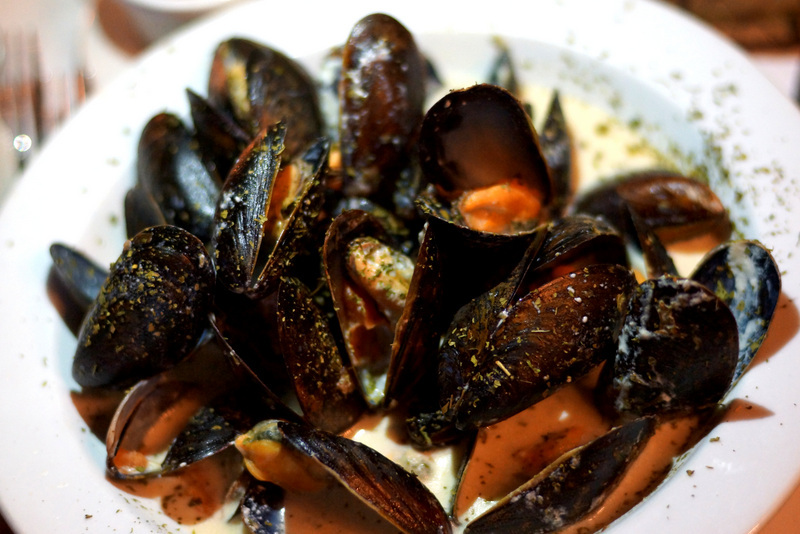 I’ve eaten my fair share of mussels in my day, including in the home of mussels – Brussels. But I’ve never encountered mussels in such a divine sauce as Alain’s. His mussels sauce of fennel, butter, wine and cream sounds simple, but tasted extraordinaire! It’s a sensual, sumptuous sauce that I’ll be attempting to recreate in my own kitchen until I go to my grave. 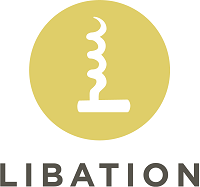 Since SLC restaurants such as L’Avenue, The Paris, and Au Bon Appetit closed their doors, we don’t have a French restaurant like La Ripaille to enjoy here in Utah. However, if you’re looking for an intimate atmosphere and hands-on owners with outstanding cuisine – in this case, Northern Italian – I’d point you towards Veneto. 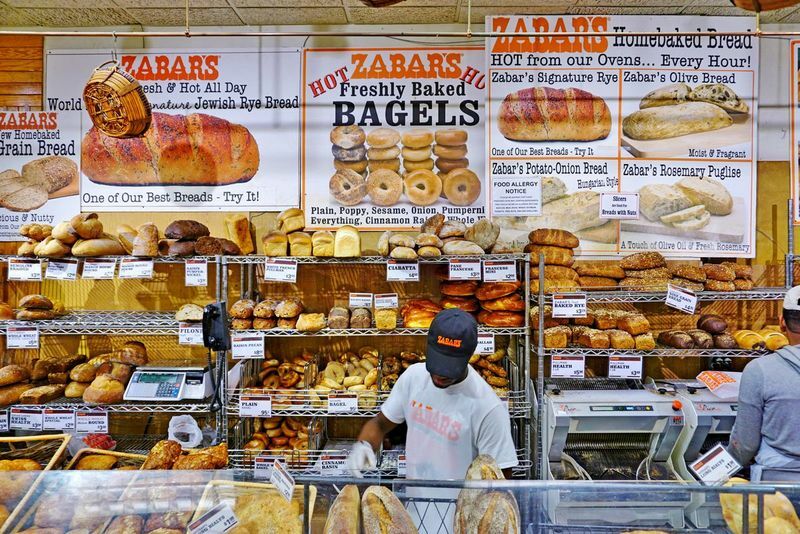 A quick trip uptown on the #1 train to Zabar’s was a must-do. Zabar’s is a classic Jewish-style delicatessen at 80th & Broadway that was opened back in 1934 by Louis and Lillian Zabar. The place is almost always mobbed with hungry customers shopping for smoked fish and caviar, fresh-baked bagels and breads, cheeses and meats, coffee and tea, housewares and much, much more. 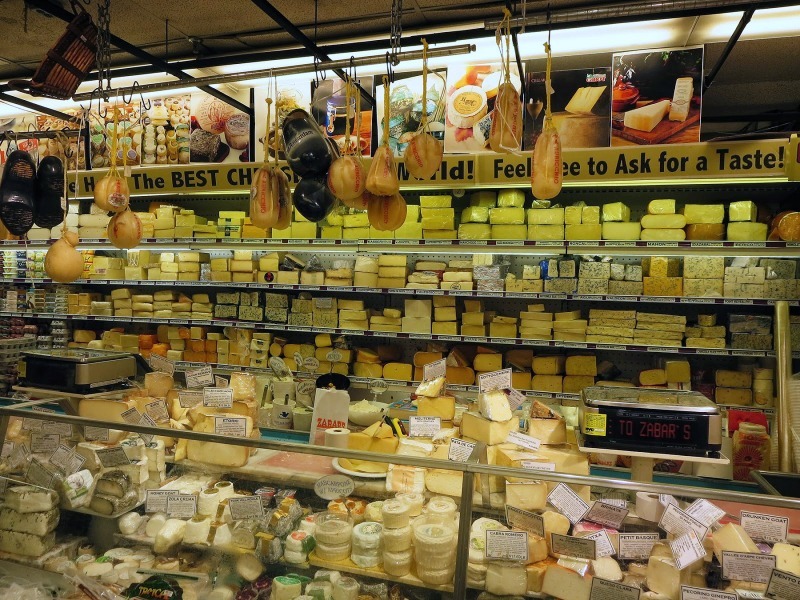 If you’re ever in New York City, put Zabar’s on your hit list. In Salt Lake City, Feldman’s Deli is the place for authentic NYC-style bagels and Jewish deli fare. 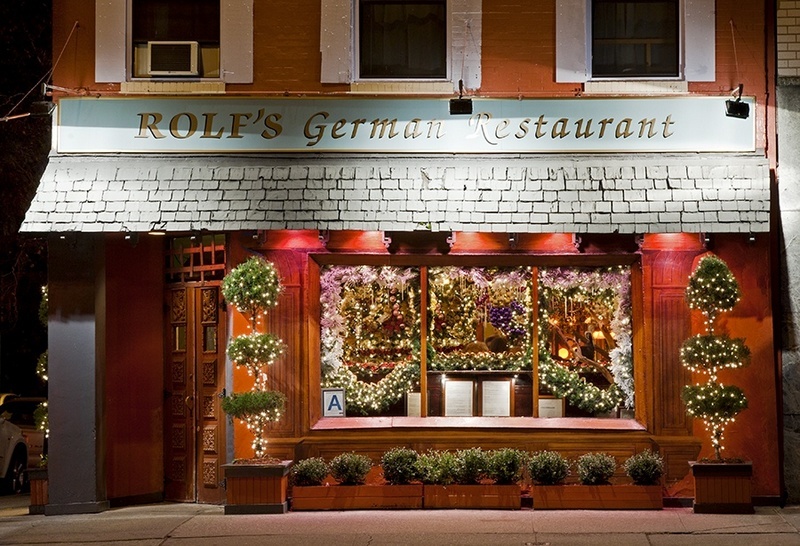 The default watering hole during my years in NYC was the bar at an eatery in my neighborhood called Rolf’s German Restaurant. I downed many a Dinkelacker beer there, with the occasional sidecar of Goldschläger or Jägermeister. The then-owners, Bob and Ben, were never shy about decor. At Christmas time the interior of Rolf’s would become a holiday winter wonderland and I remember when The Phantom of the Opera debuted on Broadway, Rolf’s was done up in Phantom everything. 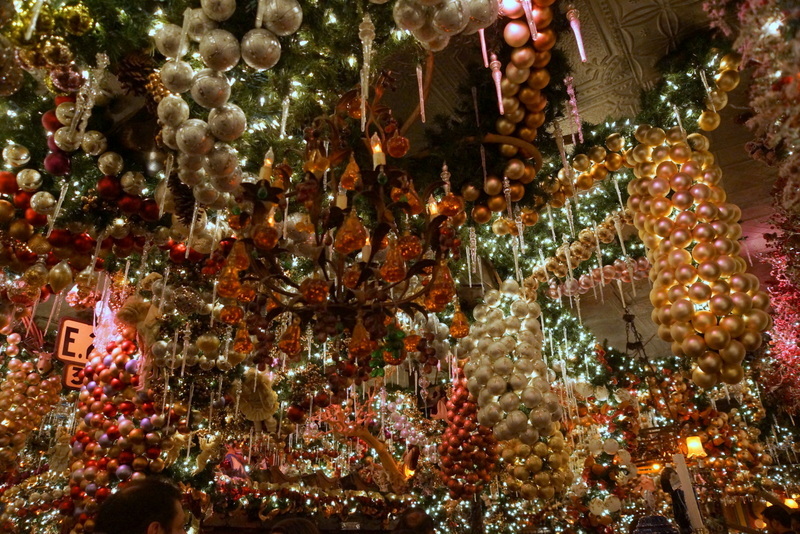 These days, the over-the-top Christmas decor is so popular with tourists that Bob Maisano (Ben has passed on) now leaves the holiday decor up for months after the Xmas season has come and gone. It’s still a great place for a brew, some sauerbraten, or maybe my favorite Rolf’s dish: Rahmschnitzel mit Spätzle. There’s no other place quite like Rolf’s anywhere on the planet. However, for good German fare without the delightful decor, head to Siegfried’s. I love their schnitzel and spätzle. For our last NYC dinner, we chose a place called Tori Shin, the only yakitori restaurant in the world to have been awarded a vaunted Michelin Star. 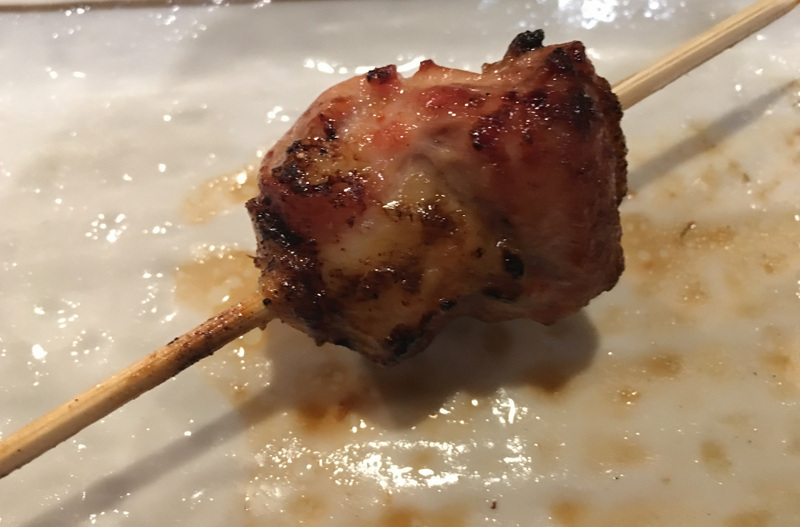 In Japanese, yakitori means, literally, “grilled chicken.” Tori is “chicken” and Shin means “spirit.” And Tori Shin sure captures the spirit of chicken, with dozens of types of skewered chicken parts cooked over imported Kishu Binchotan charcoal from Japan. (You can find Kishu Binchotan lump charcoal at Amazon, but 3 pounds of it will run you about $55!). At Tori Shin, no part of the organic chickens they favor goes unused. Among the chicken skewers on the menu are neck meat, whole heart, gizzard, fillet, belly skin, back soft bone, chicken oyster, tail, knee, breast, rib, and many more. 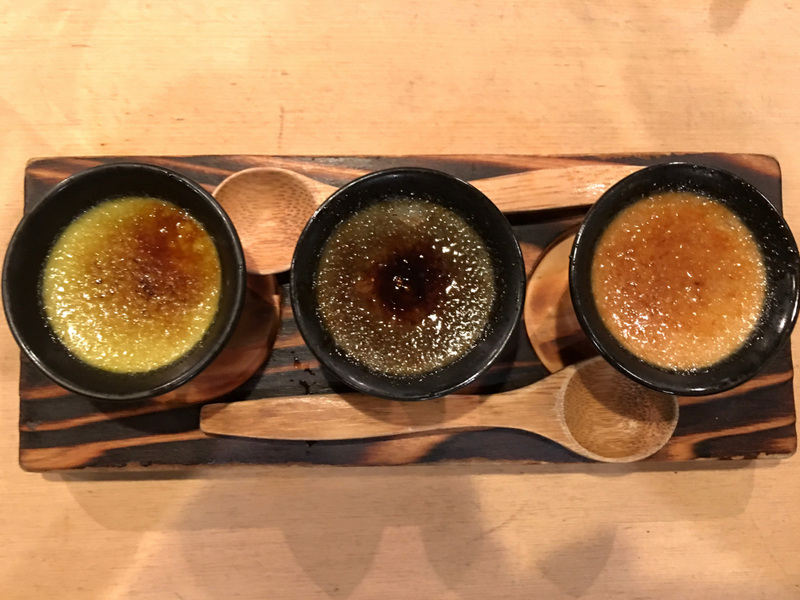 Having enjoyed skewer after skewer of amazing grilled chicken, we finished the evening with Tori Shin’s 3-Way Creme Brulee: Green Tea, Black Sesame & Roasted Hojicha Tea. Again, there is nothing directly comparable to Tori Shin in Utah (or other states, for that matter). 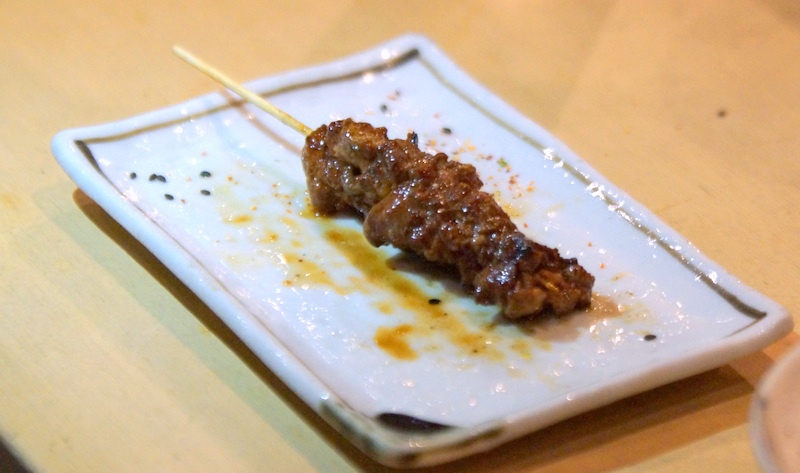 However, Osaka Sushi & Izakaya in Layton does a good job with yakitori, albeit much less exotic than at Tori Shin. I hope you enjoyed this foodie tour of The Big Apple. Next week, it’s back to SLC with a look at Logen Crew’s new restaurant, SLC Eatery, or another local gem.